This letter was written by 23 year-old Pvt. Zeno Macomber (1838-1863) of Co. E, 30th Ohio Infantry. He wrote the letter to his father, Alva Macomber (1812-1903). Alva’s first wife, Mary McGowen Greene (1815-1840) — Zeno’s mother, died in 1840. Alva’s second wife, Mrs. Matilda (Rhodes) Hinkle, died in 1863, three years after their marriage. 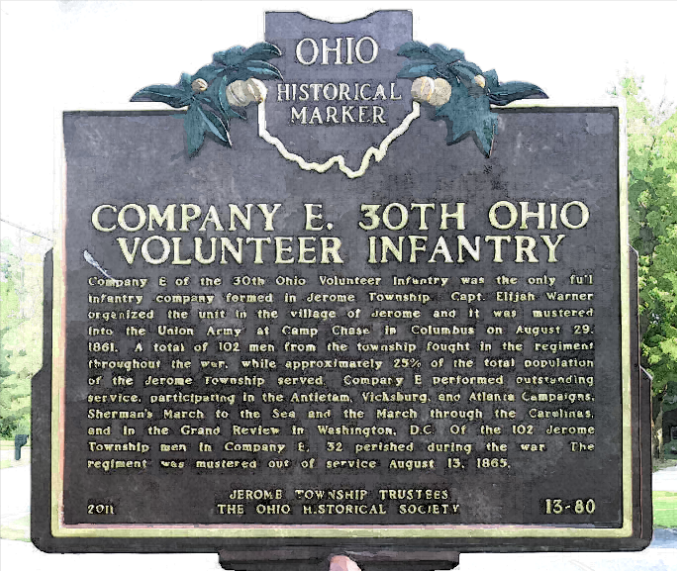 The 30th Ohio Infantry was mustered into service at Camp Chase in August 1861 and was transported by railroad to Clarksburg, Virginia, where they arrived on 2 September. From there the regiment marched to Weston where they remained until 5 September and then marched to join Gen. Rosecrans’ army on Sutton Heights. On 7 September they left Sutton Heights and marched up the side of Little Birch Mountain on their way to Summerville. The following day they joined the army at Big Birch Bottoms. Here, Company E with Pvt. Macomber, were detached and it was mostly likely from that location this letter was written. 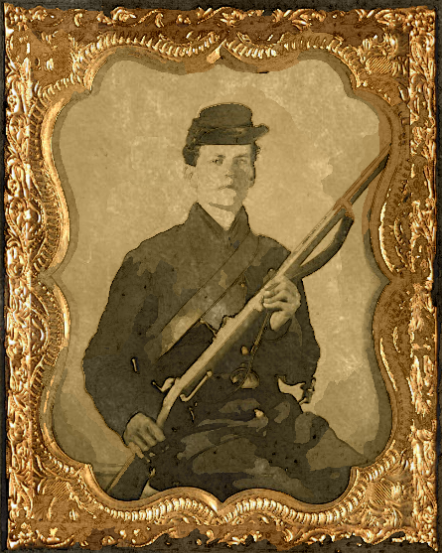 The smoke observed by Macomber may have been from the battle of Carnifax Ferry in Nicholas County, Virginia (now West Virginia) which occurred on the 10th of September. During the winter of 1861-62, the regiment worked upon fortifications and the following August it joined the army in eastern Virginia and participated in the severe engagement at South Mountain (losing 18 men killed and 48 wounded) and Antietam (losing 10 men killed and 39 wounded). Being transferred to the western field of operations, from 18 May 1863, until the surrender of Vicksburg it was engaged in demonstrations against the enemy’s works and in fatigue and picket duty. Young Zeno did not see the fall of Vicksburg, however. He died of disease on 1 June 1863. I take this opportunity to write you a few lines to let you know that I am well and hope that you are the same. We are encamped in a little valley with high mountains on every side. We came here about two hours ago. There is nine thousand and forty-five in this camp. We expect to leave here tonight or in the morning for still further south. We have marched now about ten days and are mostly all give out. When we came in here last night, there was seven or eight thousand of the enemy here but as we came on to them, they run and we camped on their ground. I see the hardest times now that ever I saw. We don’t have enough to eat or don’t get enough sleep as we have been a marching a most of the time since we left Camp Chase and live on crackers till I am tired of them. I don’t know whether I will get to come home or not. I have not spoke to the Colonel [Hugh Boyle Ewing] yet but I am agoing to try to get to come if I can but if we go so far off that it will be doubtful. This entry was posted on Thursday, August 14th, 2014 at 7:55 pm	and posted in Uncategorized. You can follow any responses to this entry through the RSS 2.0 feed. I am a descendant of Alva Macomber by his fourth wife. Alva had a son named Alva Pliny Macomber, whose son, Stanley Alva Macomber, was my maternal grandfather. I believe my cousin Philip Macomber has other wartime letters from Zeno to Alva. According to our family history, Zeno was born in 1836. He enlisted 8/28/1861 in the 30th Regt. Co.E, OVI.